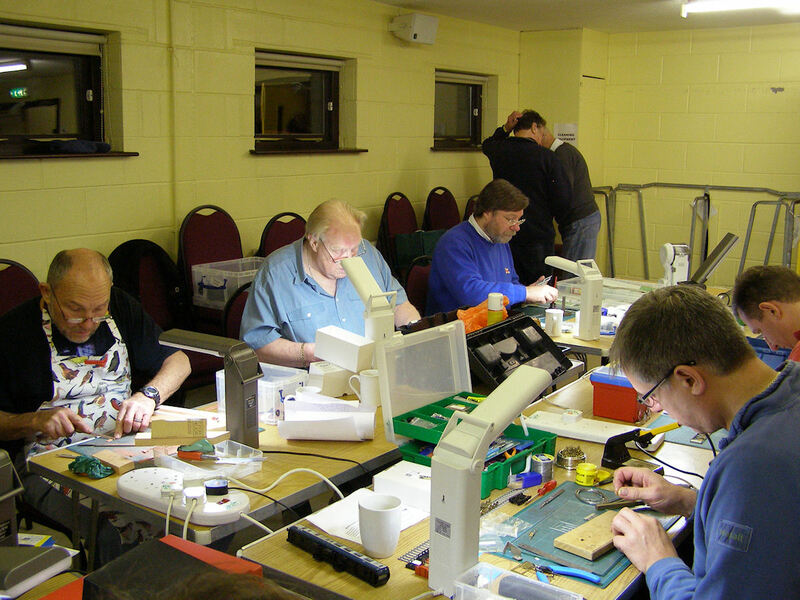 Some of the goings on that happen on our weekly Club Night. 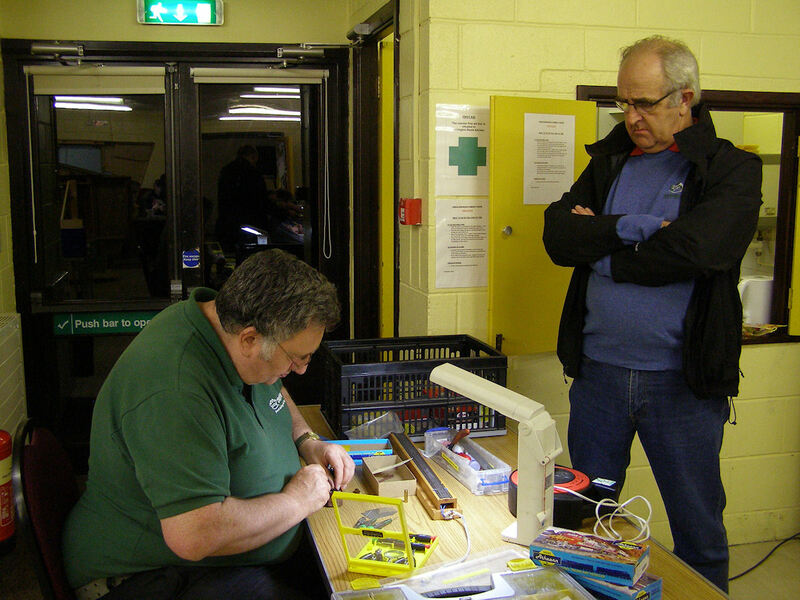 Jon looking for the correct file while Graham is soldering. 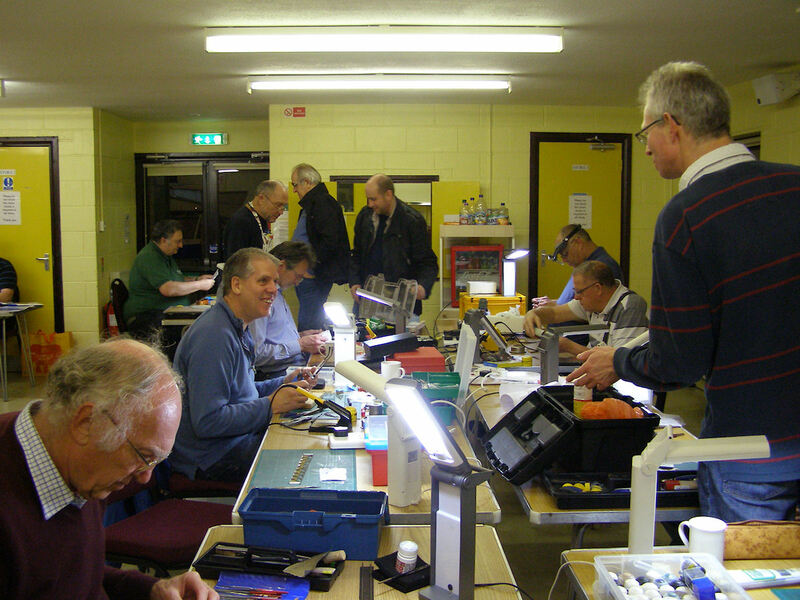 A general view of the room. 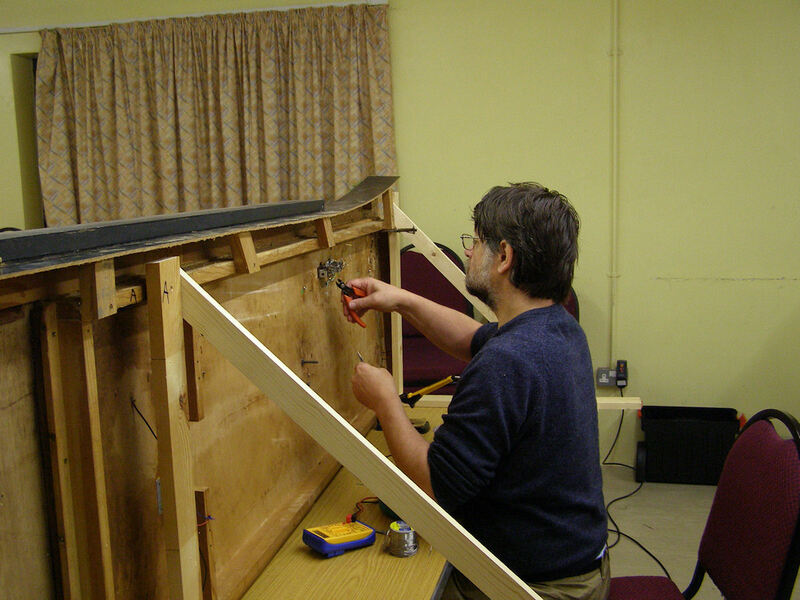 Mick re-wiring Aylesbury High Street. 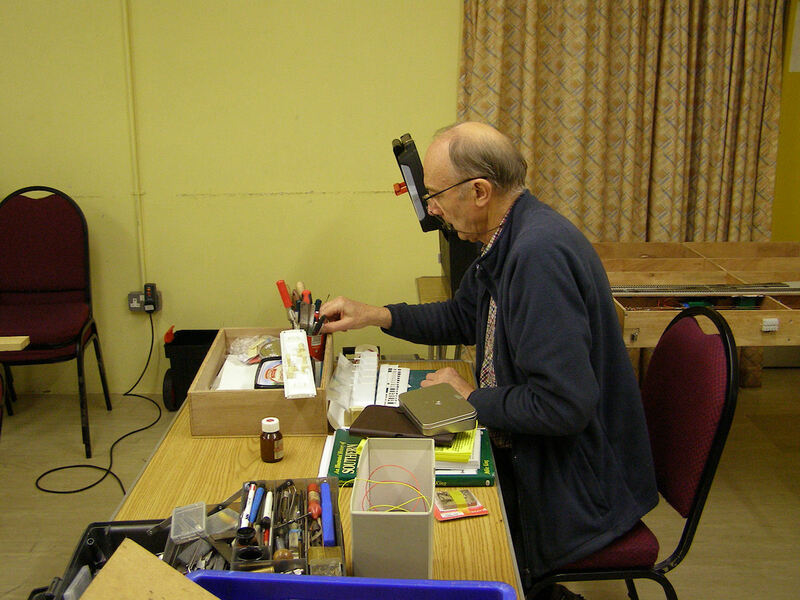 Adrian working on an O gauge coach. 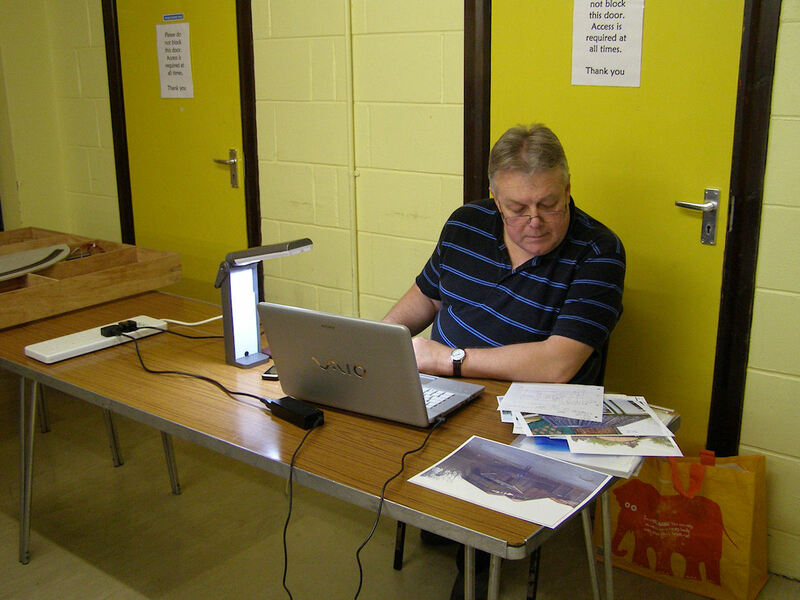 Russell working on CAD drawings for Okehampton. Another general view of the room. 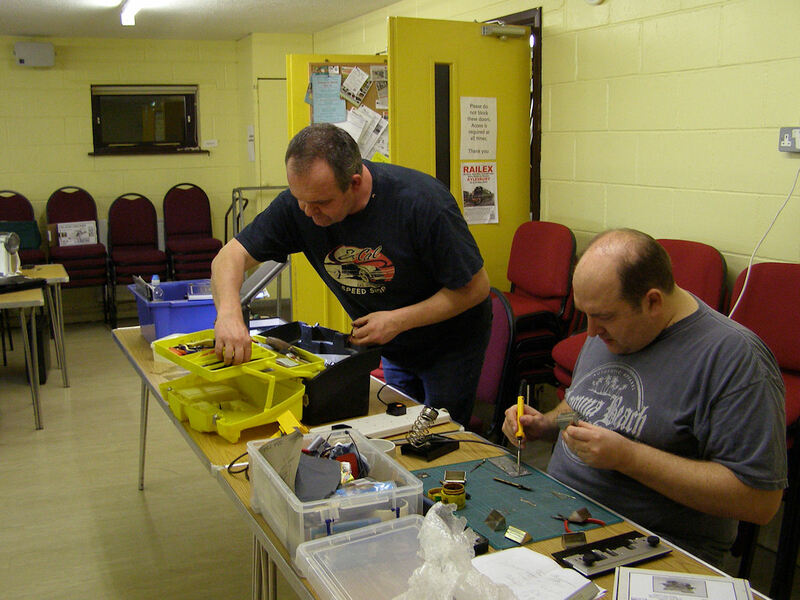 Ted works on a HO gauge kit whilst John looks on.